In Geneva, the E3+3 international mediators failed to secure a final agreement with Iran on its nuclear programme. The West still does not believe that the Iranian peaceful atom is peaceful indeed and looks forward to arguments in this regard from the International Atomic Energy Agency (IAEA), whose leader, Yukiya Amano, visited Tehran the day after the Geneva meeting ended. His visit culminated with the harmonisation of the “road map” of the forthcoming inspections, including the heavy-water reactor in Arak, where they are already producing deuterium, which can be used not only for peaceful purposes but for the creation of hydrogen and neutron bombs as well. The international community has been trying for a long time to get access for inspectors to this facility, but it is the first time that the permission has been issued. It is in spite of the fact that since 2002 the international community has been aware that the construction of a heavy water producing plant began in Arak but remained undeclared to the IAEA. At the negotiations, such closedness of Iran’s nuclear programme is running against this country due to a number of factors. 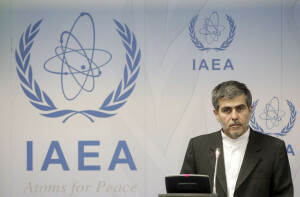 Firstly, the lack of reports of international inspectors deprives the negotiators of the opportunity to engage in a substantive discussion of the Iranian atom issues, whilst the dialogue itself has become so politicised that the parties cannot often see Iran’s nuclear programme from behind the mutual accusations and claims. Secondly, in the absence of general understanding of the scale and focus of the nuclear research in Iran, the opponents of Tehran apply their own data, which are far from the actual state of the research. For example, the last report published by the American Institute for Science and International Security (ISIS) claims that Iran’s capacity in terms of the production of weapons-grade uranium enables it to produce a bomb within a period of one or one and a half months. The assessments given by Israel’s experts are the same, but the Americans’ forecasts are slightly more cautious: a month ago, US President Barak Obama stated that Iran would need at least a year to create nuclear weapons. As we can see, there is still no unanimity in the E3+3 regarding the attained level and the real focus of the research in Iran’s nuclear programme, but there is unanimity about the fact that Tehran has allegedly been hiding and masking its nuclear activities for a long period of time. Iran’s closedness to IAEA inspections suggests that Tehran’s nuclear programme is more extensive than the Iranians recognise it themselves. Presently, it is only known that Iran is working on uranium enrichment and that it is in possession of 19,000 working centrifuges. Uranium enrichment work is under way at a few key facilities, and a stock of 20 percent-enriched uranium has been created, but that is not enough for obtaining the required amount of nuclear fuel to build one bomb. Nevertheless, the USA and the European Union believe that Iran has already achieved far too much and that its success in the development of nuclear weapons falls outside peaceful research. The West is categorical in its demands: Tehran must stop enriching uranium to high purity levels, close the plutonium plant in Arak and dismantle the underground nuclear facility in Fordow, which has also been at the centre of attention of the West, and its putting into operation has led to the present sanctions against Iran, unprecedented for a peaceful time. The question of why Iran – given the peaceful nature of its nuclear research – would need to build nuclear facilities deep underground remains open. At the beginning of 2012, the Iranians announced the start of operations at the new nuclear facility for underground uranium enrichment located at the depth of 90-100 metres in Fordow, near the city of Qom, which is 156 kilometres south of Tehran. The Fordow underground plant is one of the key facilities of the nuclear infrastructure of Iran. It has more than 2,700 centrifuges, and it is possible to produce here 40-45 kg of 20 percent-enriched uranium per month. The state-of-the-art Iranian centrifuges were moved here from the nuclear centre in Natanz. Enriched uranium can be used as fuel for nuclear power plants, but it can undergo one more enrichment cycle, and then it can be used for the creation of nuclear weapons. Even if the Fordow plant contributed nothing radically new to Iran’s potential for the creation of nuclear weapons, Tehran still felt the political repercussions of its launch almost immediately. Literally a week later, the European Union agreed to support the USA in the oil and financial blockade of the IRI. At the same time in January 2012, the sanctions phase paralysing the Iranian economy began, which is still going on and constitutes the main subject of the current negotiations. According to American and European opponents to Iran’s nuclear programme, the Fordow plant is completely out of tune with peaceful nuclear research. It is true that, in the world nuclear history, there are hardly any counterparts of the construction of underground uranium enrichment facilities similar to the one in Fordow. The only exception might be the construction of the Soviet underground top-secret military nuclear complex near Krasnoyarsk carried out in the 1950s at the peak of the nuclear confrontation between the Soviet Union and the United States. The reactor and radiochemical production, the nuclear power plant, the water supply and ventilation systems of the plant, – all of these facilities were located in a multi-tier system inside a mountain. The amount of the excavated soil exceeded 7 million cubic metres, the scale of which was quite comparable with that of the construction of the underground in Moscow. The work, which lasted for more than 10 years, required not only cutting-edge engineering solutions, but also enormous funds for the creation of a unique military nuclear complex. The Soviet experience was partly repeated in North Korea but on a much smaller scale. There they built tunnels for the underground nuclear tests which were conducted in 2006 and 2009. There aren’t any other examples of facilities similar to Fordow, so the interest in the underground top-secret plant is quite understandable. Besides, there are currently 435 nuclear reactors working at numerous nuclear power plants in 30 countries around the world, are nuclear research is being done, and still nobody builds such expensive underground nuclear facilities if they are of peaceful nature. Fereydoon Abbasi, who was the head of Iran’s nuclear power programme at the time of the plant’s launch, explained that the facility had been built deep underground so that it was much harder for the Americans and their allies to destroy it. Fordow is located in a special military area inside a massive mountain, around which there are air defence systems and positions for medium-range missiles. Probably, in the circumstances when Iran is denied the right to the development of a peaceful nuclear programme, including uranium enrichment, the adopted defensive measures seem to be sensible. But, on the other hand, until the recent visit by Yukiya Amano, Iran had not recognised the international community’s right to unhindered control of Iran’s nuclear activities through the IAEA, under the existing norms and regulations. Thus, the international community found out about Fordow’s existence only at the stage when the construction work was coming to an end in 2009. The report of the IAEA head states that the Agency first found out about Fordow’s existence from “sources other than Iran”. The silence of Tehran was considered as the violation of the obligations under the NPT. Iran was obliged to provide the IAEA with information on the nuclear facility immediately after adopting the decision on the construction or after issuing an official permission for the construction. However, satellite photographs show that the construction work was carried out at the plant site as early as 2002–2004. By the Fordow scandal, Iran seriously undermined its credibility not only on the part of the IAEA, but also on the part of the UN Security Council, under whose current resolutions Iran is obliged to freeze its uranium enrichment programmes. The decisions of the UN Security Council have been also signed by Russia, which has consistently advocated for the recognition of the right of Iran to peaceful uses of nuclear energy, but on the imperative condition that all of its nuclear programmes are placed under the supervision of the International Agency. Now the IRI’s leadership has made a shift towards reaching an agreement on increasing the IAEA’s access to the information on Iran’s nuclear programme, which is being perceived as a good sign. A productive frame of mind towards closing the issues that have been facing Tehran for a number of years is a cause for optimism, though cautious one since there are still many legal and technical problems associated with Iran’s nuclear programme that will have to be solved in the short term in order to remove suspicion from Iran in its military focus. The negotiations between Iran and the IAEA have a serious effect on Tehran’s dialogue in the E3+3 format – their success is capable of creating a more favourable atmosphere for discussions. The new round of negotiations between Iran and the IAEA will take place on 11 December in Vienna. Nikolai Bobkin, PhD in Military Sciences, Associate Professor, senior research fellow at the Centre for Political and Military Studies, Institute for US and Canadian Studies RAS – exclusively for the online magazine “New Eastern Outlook”.